Nickelodeon UK will debut the all-new, CG-animated series Teenage Mutant Ninja Turtles this October. 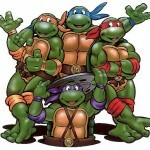 The 26-episode, half-hour action-comedy series breathes new life into the wildly popular band of reptile brothers played by Jason Biggs (American Pie) as “Leonardo,” Sean Astin (Lord of the Rings) as “Raphael,” Greg Cipes (Teen Titans) as “Michelangelo” and Rob Paulsen (Planet Sheen) as “Donatello” (Paulsen also voiced the original “Raphael” from 1987-1996 in the very first TMNT series). Rounding out the cast in the series’ key roles are: Mae Whitman (Scott Pilgrim Vs. The World) as “April O’Neil,” a gutsy and independent sixteen-year-old who befriends the Turtles after they save her from an alien attack; Hoon Lee (Royal Pains) as “Master Splinter,” the Turtles’ sensei and father figure and Kevin Michael Richardson (Penguins of Madagascar) as “Shredder,” the commander of an evil ninja army called the Foot Clan and one of the deadliest martial artists in the world. Nickelodeon’s Teenage Mutant Ninja Turtles begins as the turtles emerge from their hidden lair in the sewers for the very first time, ready to confront the wondrous and hostile world of New York City and face enemies more dangerous and pizza more delicious than anything they could have imagined. 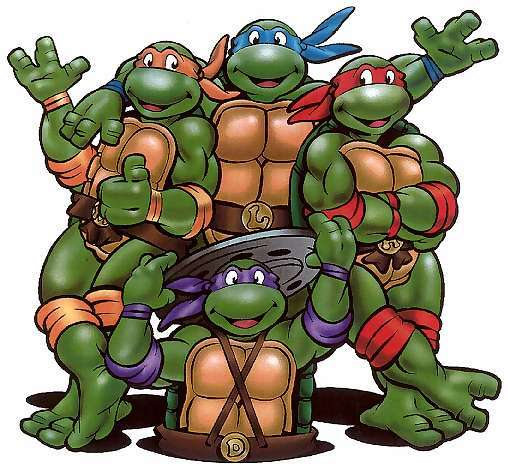 Funnier and with more Ninjutsu than ever before, the show will explore the camaraderie of four teenage brothers learning to rely on themselves and one another as they unravel the mystery of their existence and grow to become the heroes in a half-shell that they are destined to be. The premiere episode, set to premiere this autumn, is executive produced by Ciro Nieli (Family Guy, Teen Titans), Joshua Sternin (That ‘70s Show) & Jeff Ventimilia (That ‘70s Show) and Peter Hastings (Kung Fu Panda: Legends of Awesomeness). Considered one of the most popular kids’ television programs of the 1980s, Teenage Mutant Ninja Turtles is a classic, global property created in 1984 by Kevin Eastman and Peter Laird. It first debuted as a successful comic book series and then became a hit animated TV show, a live-action television series and later spawned four blockbuster theatrical releases. The property also has translated into a significant consumer products business – with DVDs, video games, toys and more – that has generated billions of dollars at retail. Nickelodeon is the number one commercial kids TV network in the UK. Launched in 1993, it comprises seven dedicated award-winning entertainment channels for kids aged 2-12: Nickelodeon, Nickelodeon HD, Nick Replay, Nicktoons, Nicktoons Replay, Nick Jr., and Nick Jr. 2. The Nickelodeon network now reaches more than 10 million viewers a month and is available in 12.7 million cable and satellite homes. The company has built a diverse multi-platform business by putting kids first in everything it does and includes critically acclaimed and hugely popular television programming and production in the UK and around the world, plus consumer products, online, events, recreation and feature films. Nickelodeon is available on Sky 604, Virgin 712, through BT Vision and TalkTalk channel 315. Next Next post: Hitchcock’s The Ring – Live Streaming Event tomorrow!